We have lots of Buxus Sempervirens currenlty on hand. It's the most popular box hedging variety on the market. Takeaway as many as you need for only $7.50 each - for a limited time only. Currently bushy and 30cm tall - plant 5 per metre for dense hedge. Japanese maples are cherished by landscape architects and garden designers for many reasons: brilliant crimson growth in spring, vivid green leaves in summer, radiant gold foliage in autumn, and gnarly branch structures in winter. An Acer never fails to grasp the hearts of people when they recognise the ever-changing beauty. Planting hedges can often use up large chunks of your budget, so it's vital to choose the right hedging plant or combination of hedge plants for the job. Whether its for screening and privacy or shelter we'll be able to assist in you in making the right choice. When it comes to adding that finishing touch to your backyard sanctuary, a vibrant splash of colour or hedge wall can be just the thing to give it that specific look you want. Our garden nursery in Christchurch carries an extensive range of greenery and can accommodate for whatever style or look you’re aiming for. Here at Goughs Nurseries, Christchurch, we are professional growers of garden centre grade landscaping, hedging, and garden plants and can accommodate any sized landscaping request. Located in Ohoka on the outskirts of the metropolitan area, we have serviced the Waimakariri district and wider Canterbury area for over 40 years, and were first established in 1974. Previously a wholesale nursery, we're now open to the public for retail sales at wholesale prices. Come into our garden nursery for a visit and check out our range – we’re sure you'll want to buy something for your garden or life-style block. Don't forget to check out our range of mature Japanese Maples, Buxus and pittosporum plants for sale right here at our Chch, New Zealand garden centre. Our garden centre within Christchurch is committed to growing and supplying quality plants at a competitive price to the home gardener and landscaping specialist. Our stock is propagated and grown on site ensuring all our greenery is well suited and acclimatised to Canterbury's growing conditions. As one of Christchurch’s leading garden centres, we're busy increasing our range at our plant nursery and developing bigger grades of our more popular flora options, for those wanting an instant effect. Make sure to re-visit our site to keep abreast of our garden centre developments. We’re always happy to help our valued customers if they need any assistance with their gardening or plant selections. 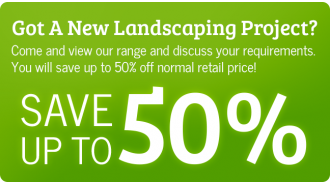 When you buy from our garden centre for your landscaping job, you stand to receive savings of up to 50%. Don’t blow your budget and go with traditional plant nurseries which charge inflated prices when you can save money with us. If you’d like to find out more about our plant nursery services for Christchurch, feel free to contact us and one of our friendly staff members will be happy to assist with any queries.